Welcome to Grand Central 2 built by Intergulf Development Group. This is an East facing home with partial view of beautiful Westwood Plateau and Town Center Park. This home is perfect for a first time home buyer or investor who is looking to get into the market with great rental income. Well maintained with a large master bedroom and a walk through closet and a cheater ensuite. Amenities include exercise center, outdoor swimming pool, hot tub, children play area, and garden. 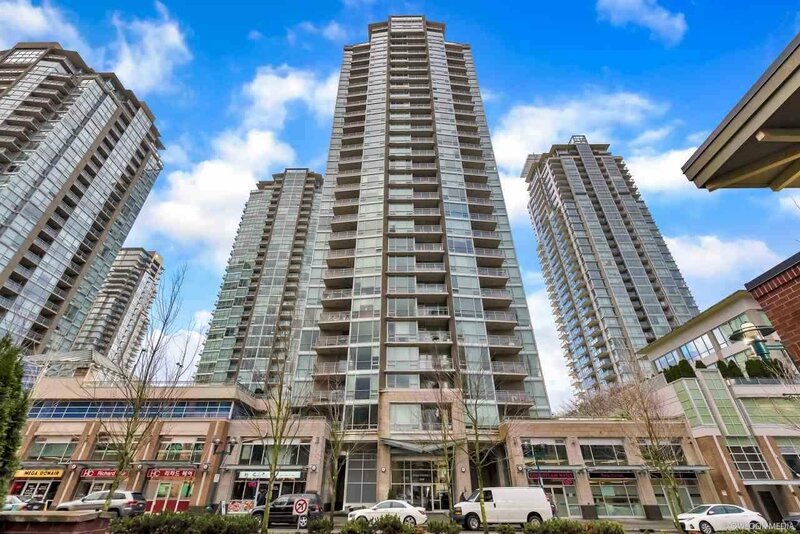 Steps away to Coquitlam Shopping Mall, City Center Library, Community Center, Douglas College, Pinetree Secondary School, RCMP, City Hall, Lafarge Lake, and future Evergreen Line! Include 1 parking stall and 1 storage locker.